The past several years has witnessed the widespread use of smartphone, which contains many functions, like listening to music, taking photos, and chatting with others online……When it comes to the use of watches, opinions vary greatly. Some people argue that watches are useless today,cause we can know the time by the smartphone. It is unnecessary to spend extra money on buying a watch. On the contrary, others believe that watches still play an important role in our daily life, because it is more convenient to see the time on watch. 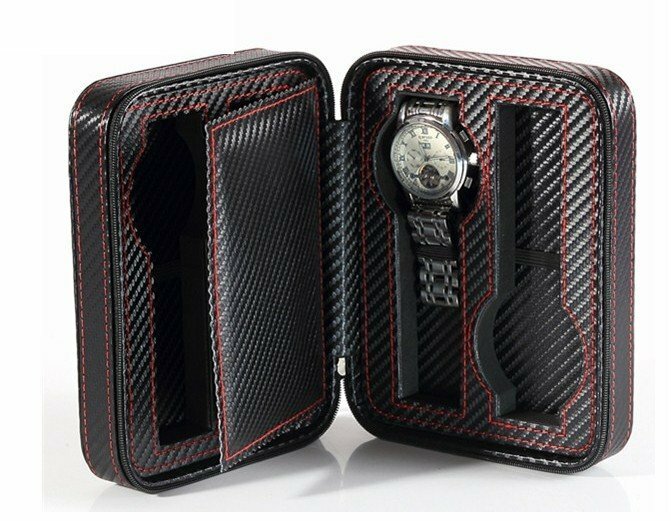 Today FlixGifts will take about the meaning of a premium men’s leather watch case. From my point of view, nothing can substitute for the watch. There is no denying that the smartphone is of great use, but the watch is still popular. Nowadays, a watch isn’t just a time-telling instrument, but more a status symbol. Many luxury brand companies have utilized the public’s psychology about watches, so they produced many expensive and elegant watches to meet the public. More and more people choose costly watches as their status symbol. In addition, a watch is also important for the businessman. If you have an interview, don’t forget to wear a watch, because the interviewer will think that you are the one who pays much attention to the time. Being punctual is always considered as an important personality for interviewers. After discussing the function of watches, you may want to own a watch. But how can we protect our watches and where can we put them when we don’t wear them? 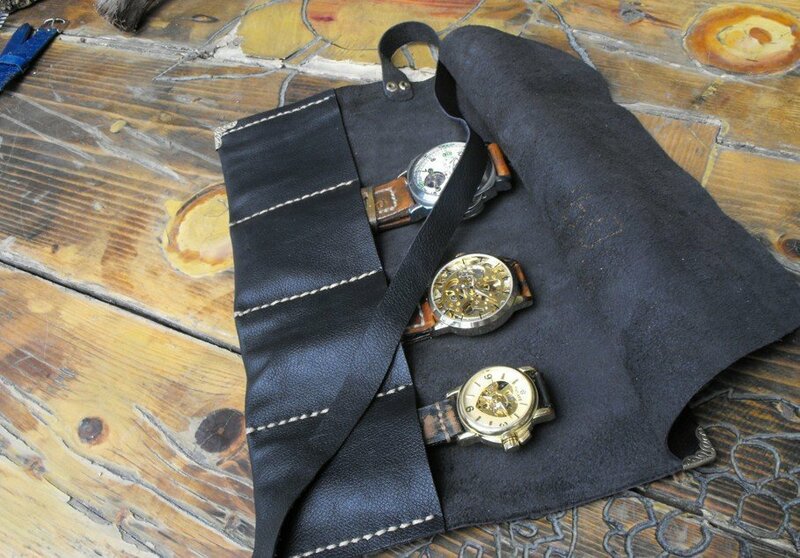 Maybe you need a mens leather watch case! Mens leather watch case is seemingly like a pocket for watches. If you own a watch, I bet you will like it. Leather watch case is made of leather, which is comfortable and soft. 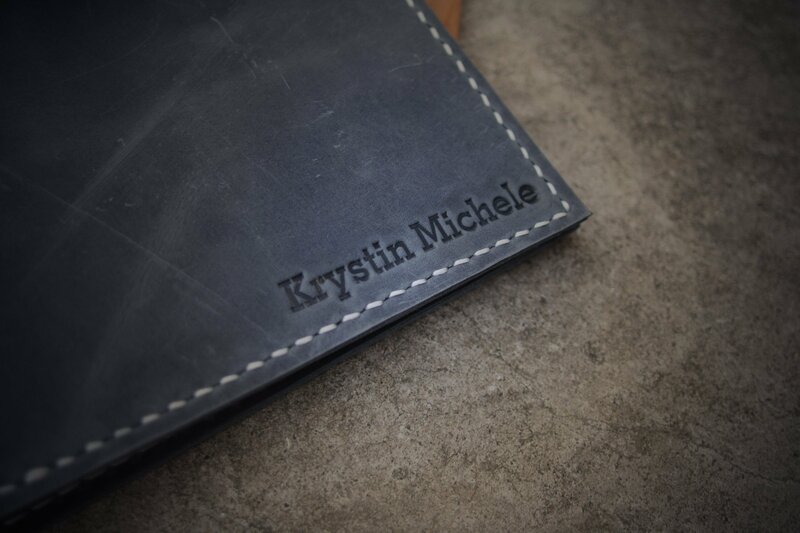 Leather is known for its great quality and many individuals are fond of it even today. There are three main reasons of why you need a leather watch case. First and foremost, leather is of great quality and having charming appearance. You may feel enjoyable when using it. That is the reason why a majority of people are still crazy at the leather. Secondly, mens leather watch case is more easily to be taken compared with watch boxes, because the leather watch case is soft and you do not have to make big space for it. Take my experience for example, my dad bought a watch in Hong Kong for me 3 years ago, but he just took the watch and leather watch case to home. I asked him why he had not took the box home, and he answered that the box is too big to be put in the bag, so he throw it away. FlixGifts did not understand it at the beginning, but now I know. Leather watch case is so useful that the watch box is of no use. Last but not least, mens leather watch case acts as the protection of the watches. Some people have several watches, so how to deposit other watches is a puzzling problem, because there is dust in the air which will make your watches dirty. What’s more,it is a bit dangerous to put the watches respectively, maybe you can’t find it next time. 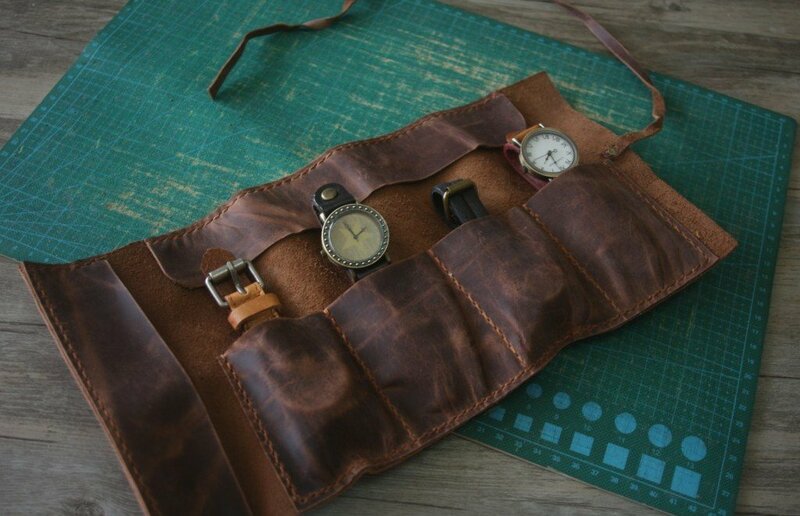 Luckily, leather watch case has different size, so you can choose the big one to put all your watches. As we all know, leather is a kind of durable material, so a leather watch case can be used for a long time. There are so many advantages to use the mens leather watch case, so do you want to have your own leather watch case?Maybe it is time for you to buy a protective helmet for your watch!